Microsoft backtracks on Xbox One DRM and "always online" | What Hi-Fi? Microsoft backtracks on Xbox One DRM and "always online"
Microsoft has announced it will remove DRM restrictions on Xbox One games and the need for you to have the Xbox One "always online". Sources told whathifi.com earlier today that Microsoft was set to announce the changes, with games developers being informed first. 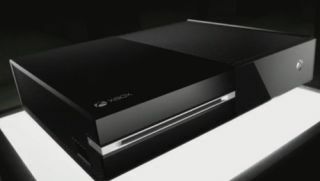 A post on Xbox.com now confirms the changes: "An internet connection will not be required to play offline Xbox One games – After a one-time system set-up with a new Xbox One, you can play any disc based game without ever connecting online again. There is no 24-hour connection requirement and you can take your Xbox One anywhere you want and play your games, just like on Xbox 360. "Trade-in, lend, resell, gift, and rent disc based games just like you do today – There will be no limitations to using and sharing games, it will work just as it does today on Xbox 360." The post by Don Mattrick, President, Interactive Entertainment Business, thanked people who posted "feedback" for their "assistance in helping us to reshape the future of Xbox One". The Xbox One was announced last week at E3 alongside the new PS4, with Sony's new PlayStation drawing first blood thanks to the higher Xbox One price and apparent restrictions surrounding games and offline play. Microsoft announced that users would need to connect the Xbox One to the internet once every 24 hours in order to keep playing. DRM (digital rights management) would also seemingly restrict you from sharing Xbox One games with friends or indeed selling them on second-hand. Sony was quick to capitalise, changing the PS4 launch to poke fun at the Xbox One's perceived restrictive nature and highlighting the fact that there would be no such issues aroud the PS4 (even if PS4 games publishers' can seemingly still choose to add DRM). It seems Microsoft has listened and has changed its mind on both DRM on Xbox One games and the always online requirement. Microsoft signed-off the announcement by thanking gamers for the "candid feedback", saying the Xbox team, "remained committed to listening, taking feedback and delivering a great product for you later this year."